Are you looking to improve your social media video strategy? Today, video marketing has become one of the most effective means of reaching a target audience. Fortunately, social media has created a platform for video marketing that has the potential of being powerful. But, it’s not all fun and games when it comes to video marketing. Let’s face it, video marketing can be an exceptionally tough nut to crack. Not only can it feel intimidating, but it’s also challenging to achieve your desired engagement. If you’re serious about making the most out of your video marketing, you’re going to want to read this. We’re uncovering nine actionable ways to improve your social media video strategy today! If you’re new to the world of video marketing, live streaming is a simple place to start. First and foremost, a simple live stream virtually requires no equipment. This is a “no frills” approach to video marketing, yet it still has the power to be incredibly effective and reach a large audience. Because a live stream video involves a person talking to the camera, this type of video is great for connecting with your audience in a simple way. This helps to build trust, brand awareness and boost engagement. If you’re having trouble coming up with video content ideas, try researching keywords on a search engine. This is where you will learn how to optimize your videos. This is going to show you what consumers are typing into search engines. Likewise, this is the best way to gain insight as to what your consumers are interested in or what questions they might have. Let the results of this search provide you with inspiration for your next video. You can also hire an SEO professional to do this work for you. It’s safe to say that influencer marketing has continued to explode here in 2019. Gone are the days of well-known celebrities and enter the days of social media influencers promoting products. Consumers feel that they can connect more naturally to everyday influencers than to global celebrities. In connecting with an influencer, the consumer actually begins to develop a level of trust in what that influencer is promoting. This is why so many companies have chosen to invest their money in influencer marketing. To take it one step further, why not combine your video marketing strategies with your influencer marketing? This is a great way to connect to your audience and to showcase your products through the eyes of the influencer. It’s also an effective means of gaining new followers and increasing your brand awareness. One of the most challenging aspects of creating a video has to do with time. It’s not unheard of for busy professionals to report that they don’t have the time to focus their attention on video marketing. The truth is, video marketing doesn’t have to be so time-consuming. In fact, some of the most successful video campaigns are simple videos that are no longer than two minutes in length. That being said, try creating a short video that is no longer than a minute or two. Not only are these more simple to create, but they also capture your audience’s attention span well. Have you been struggling with the thought of potential ideas for your video content? If you feel that you’re lacking in the creativity field, why not consider an interview style video? While it’s certainly a simple concept, consumers have proven to engage well with interview style videos. Try interviewing anyone from the team behind the product to influencers that have tried the product. Not only does this showcase your product or idea in a positive light, but it’s also a great means of showing the faces behind a brand. Whoever said that video had to have audible sound or music? The truth is, eighty-five percent of Facebook videos are watched without the sound. Because so many consumers choose to browse their social media on-the-go, it doesn’t always make sense to have the volume on. Instead, many companies choose to opt for simplified videos that don’t include sound. This also makes it more simple for businesses to get started with video without the need for expensive sound equipment. Is silence the new go-to soundtrack? It’s your turn to find out. Do you have a product or idea that may be slightly complex or require further explanation? An explainer video is a perfect opportunity to describe the ins and outs of your product or idea. Many tech companies use explainer videos as a simplified means of describing their product to a generalized audience. While many choose to use simple animations to explain the concept, you can also record yourself or another person providing an explanation. Animated videos have become popular amongst businesses today. They’re popular because they work well for almost any objective and don’t require any camera experience. This is a great approach for anyone that’s interested in making video content but not looking to get behind the camera. An animation is always a great way to shoot explainer videos or how-to videos. They are short, simple and well received by viewers. Last but not least, it’s important that you take every step possible to ensure that your videos look semi-professional. While this doesn’t mean that you need to spend your savings on video equipment, it does mean that you need to have a tripod. This is what’s going to stabilize your video and allow it to appear skillful. If you’re looking to input video strategy into your marketing plan, this is the best place to start. Let’s consider that 45 percent of consumers today watch more than an hour of video content on various social media platforms today. When we consider that’s nearly half of consumers, it’s simple to see how important video is to marketing. Fortunately, the progression of technology and social media makes it possible for anyone to partake in video marketing. The difference lies in creating video marketing that is going to reach your audience and increase your engagement. 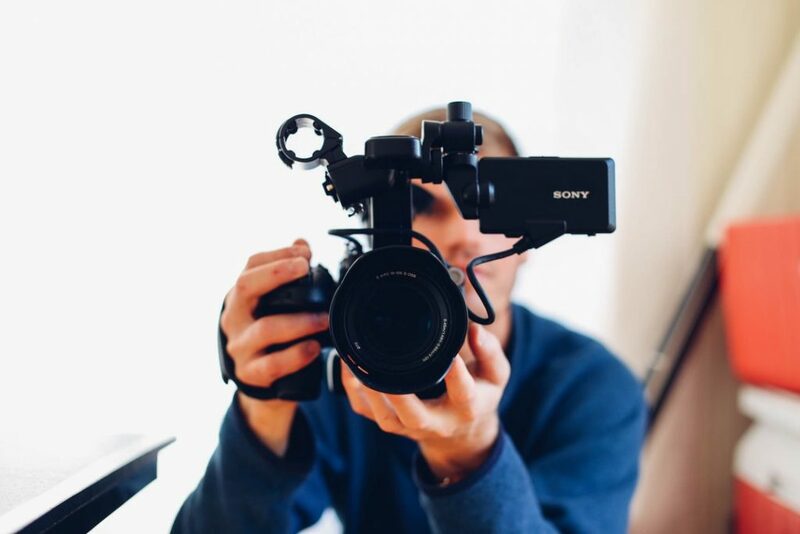 For any business today, these tips and tricks will help to establish a solid baseline for your video marketing strategy. It’s only up from here! Are you looking to inquire further about social media and SEO marketing? If so, don’t hesitate to contact us today!